There’s no denying that CrossFit workout routine is one of the most popular workout regimens as of late. It’s pretty much everywhere and brands are already creating products that will cater to the needs of the workout’s fans and practitioners. It has even gained a few naysayers along the way, so you can be sure that it is a very well-known fitness routine right now. With all of the hullabaloo that it’s been causing in the fitness world as of late, more and more people are becoming interested in it. With so many athletes and fitness experts saying good things about CrossFit, it’s really hard to ignore it. It’s even more appealing to those who likes to change up their fitness routines every so often to keep themselves interested and excited about their time at the gym. But what is CrossFit exactly? 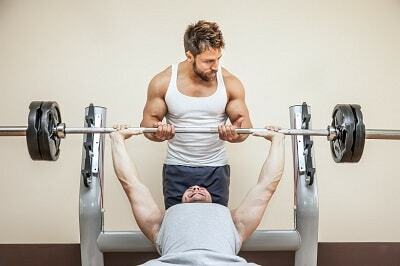 And what makes it so popular among today’s fitness enthusiasts? Get to know more about CrossFit workout routine by reading on. What is CrossFit Workout Routine? 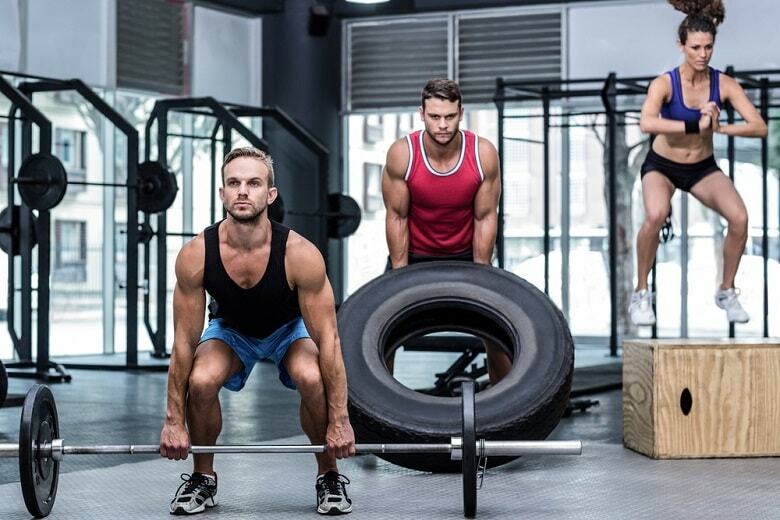 Defined by its website as “a program specifically designed to improve fitness and health”, you can think of CrossFit as an overall fitness program that can condition and strengthen the body. Unlike other fitness routines, CrossFit is a branded regimen. It was created by Greg Glassman and developed over the decades to offer a more well-rounded approach to improving one’s body. Simply put, CrossFit is a high-intensity workout that involves a wide range of different functional movements. This makes it capable of strengthening its practitioners as it aims to power up the muscles you actually use on a daily basis. As a result, you’ll feel more limber, faster, and more capable of doing more things in different disciplines. When you’re doing CrossFit, you’re not just targeting specific muscle groups. Not that you won’t find CrossFit ab workouts, but it’s not like taking a cycling class and just working on your legs. This program is designed to make you proficient in ten general physical skills including power, coordination, strength, cardiovascular/respiratory endurance, stamina, agility, flexibility, speed, balance, and accuracy. It should make you good at everything and anything, conditioning your whole body to make you versatile in terms of fitness. With over 13,000 affiliates all over the globe, CrossFit has definitely made its mark in the industry. A class will be comprised of the WOD or workout of the day which is often posted on the website. 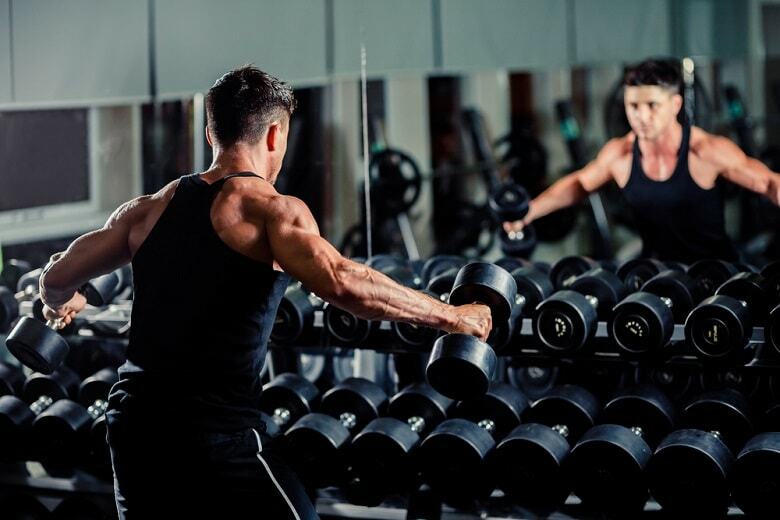 It often includes a metabolic conditioning (met-con) session where you’ll be required to do as much number of repetitions as you can in a specific amount of time. WODs are posted daily, so you can never really guess the routine for the next day. This randomness is also another plus point for CrossFit. A lot of fitness enthusiasts like doing different things on a daily basis, so the variety will keep them entertained and will always keep them challenged. There are also different levels of fitness that a participant can reach in CrossFit. There are four levels of the CrossFit Certificate Course so you can opt to move forward if you want to learn more about the different elements of the program. While CrossFit is not necessarily a program that is designed for weight loss, it’s possible to tweak the program to help you shed some pounds. Why You Shoud Do CrossFit? 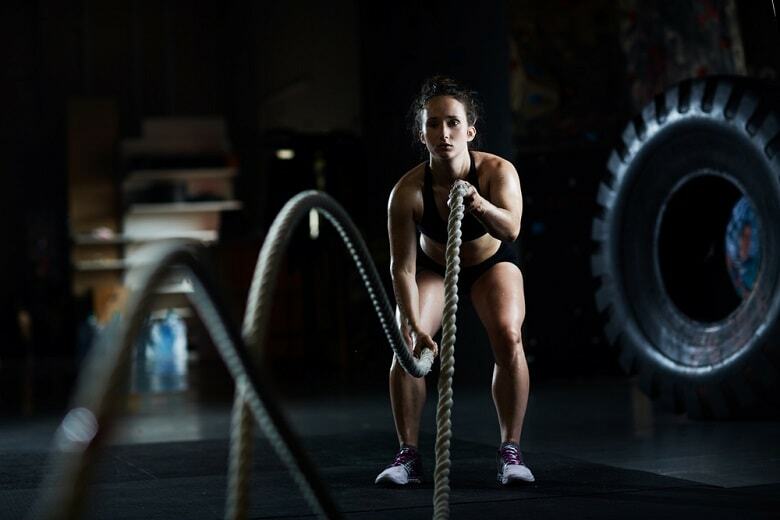 If the promise of a comprehensive fitness isn’t enough for you to consider trying CrossFit out, here are a few reasons why you should give this workout a shot. 1. It will keep you on your toes. If there’s one thing that CrossFit can guarantee, it would be the fact that it’s never boring. The CrossFit daily workouts are often unique so you will never have to do the same routine for days on end. 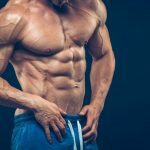 By performing a wide range of various high-intensity functional movements, you can also be sure that your body won’t go into a steady state, allowing your body to use up energy stored in your fats and not in your muscles. 2. You can opt to up the game further. Those who have a competitive streak might feel more motivated if they have to achieve a goal or reach certain milestones in the program. With the different Certificate Courses in CrossFit, you can aim to continue to the next level if you feel like you’re ready to take on more challenges in the program. 3. You can meet other like-minded people. CrossFit classes are the best ways to get started in the program. These sessions will teach you the proper techniques as well as provide needed equipment and motivation to get going. It will also help you get in touch with other people who have the same interests as you. This social aspect makes CrossFit an even more exciting and rewarding fitness regimen. Despite being intense, CrossFit sessions can also be extremely fun. If you get easily bored by your workouts, this might just keep you entertained and may even help you look forward to your next sessions. 5. You’re guided by an expert. If you don’t have the budget for a personal trainer, a CrossFit class can be a good alternative. Each class has a certified trainer that will monitor your performance and ensure your proper form. They also offer encouragements and entertains questions on how you can improve, which can really keep you on track in achieving your fitness goals. Despite the fun aspects of the program, there’s no denying that CrossFit seems tough. Aside from the intensity of the routines, the constant change may also feel a bit intimidating. This is why a lot of people wonder whether it’s a workout that they can do. Each routine can be scaled according to your capacity so a single program will surely work for everyone. The CrossFit workouts for women are also for men and even older practitioners. If you can’t do a certain routine included in the WOD, you can make it easier to something more achievable for you. You can also substitute it with something that you can do. You won’t be yelled at for not being able to do what’s in the program and you won’t be forced to do what you don’t want to do. The important part that you need to keep in mind about CrossFit is that you will go over the movements that will be involved in the program before you’re asked to do them. With the help of the Level 1 Certificate Course Participant Handbook, you’ll be well guided into what CrossFit is about. This will also help you get acquainted with the methodologies used in the program so you won’t ever be unprepared for what’s ahead of you. While this doesn’t guarantee that you can actually perform every routine in the WOD, you can at least have an idea of what’s in store for you as soon as you get started. Another valid concern about CrossFit is whether it’s safe or not. The intensity and variety of the workouts involved will really make you question the possibilities of getting harmed in the program. Being an intense workout program, there’s really no guarantee that CrossFit is 100% safe. However, you can easily avoid accidents and injuries if you pay close attention to the movements you execute and weights that you lift. Observing proper form, knowing when to scale back, following directions, and practicing movement patterns will ensure your safety while engaged in this program, however. Should You Enroll in a CrossFit Class or DIY? To do CrossFit, you can easily join an accredited class. Doing this is highly recommended when you haven’t tried the program out just yet. A class will help you learn the basics and essentials of the fitness program. This will ensure that you’ll get the most out of the program and enjoy the many health benefits that it can bring. The fact that each class is also guided by an expert is also a great plus. 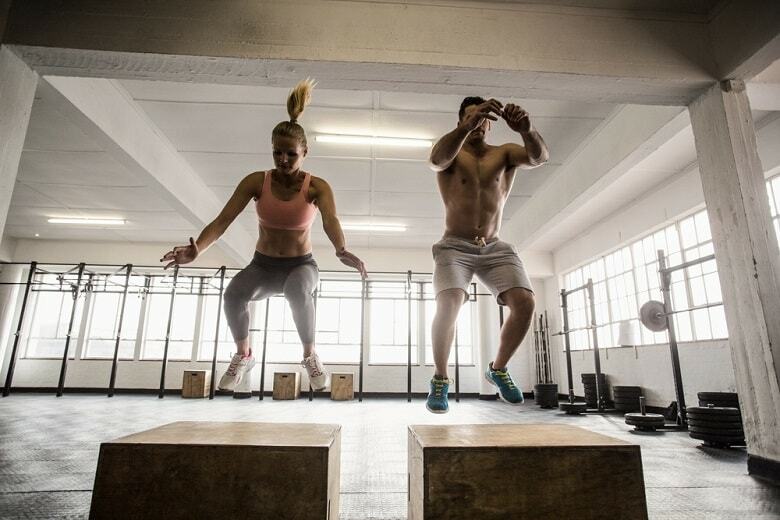 Beginner CrossFit workouts will require supervision to ensure that you’re doing a good job in executing movements. It can also ensure your safety when trying new and intensifying routines. The equipment available in CrossFit gyms is also a good reason to sign up for one of these classes. While you can always workout using everyday items, it’s not enough for most CrossFit workout routines. You’ll need weight equipment among other things and buying them can be more expensive and space-consuming than just signing up for a class. However, there’s also no denying that CrossFit classes can be quite expensive. There’s also the fact that some people don’t thrive in group settings. These are just two of the reasons why it’s easy to understand why some people want to practice CrossFit on their own. If you’re sure that you can execute workout routines with proper form and accuracy, it might be a good option to skip the classes. For complete newbies, though, relying on an expert might still be the best way to enjoy this program. Another way to know if you should enroll in a CrossFit class or not is by actually trying it out. A lot of gyms have free trials so you can actually participate and get the feel of the program. You can also gym-hop and try out different gyms first before deciding whether a class is a good fit for your needs or not. Getting a classroom experience is a must, however, so make sure to at least give it a try. 1. Lie on your back with both arms extended upwards. Position your legs in a diamond shape with your soles touching each other and your knees bent. 2. Inhale while slowly lifting your upper body up to a sitting position. Tap the floor in front of your feet. 3. Slowly lower yourself back to the starting position. 4. Repeat as much as needed in the routine or until the allotted time is up. 1. Start your leg workout in a standing position. 2. Step one foot forward then lower your hips until both of your knees are bent at a 90-degree angle. Make sure foot in front of you is aligned to your knee and the other knee isn’t touching the floor. 3. While keeping your weight on your heels, push yourself forward back to a standing position. 4. Repeat with the other leg and until you’ve moved forward for 400m. 1. Start in a standing position with dumbbells on both hands and arms extended overhead. 2. Do walking lunges until you’ve reached your required number of reps or consumed the allotted time. 1. Place your body on the floor with your stomach touching the ground. 2. Place your forearm on the ground with your palms flat on the floor. Push your body up until your body is in a straight line. Let your toes help hold your body up. 3. Hold the position while contracting your abs for 30 to 60 seconds. 1. Choose the appropriate weight that you can carry and position yourself properly on the diagonal sled-type leg press machine. 2. Maintain the 90-degree angle of your hips and legs. Position your feet apart with your toes pointing out to minimize the weights’ impact on your knees. 3. Unlatch the weight. Inhale and start pulling in your leg until the backs of your lower and upper legs create a 90-degree angle. 4. As you exhale, slowly push your legs upward using the heels of your feet and your quadriceps. This will put you back to the starting position. These are just few of many CrossFit workout routines. The best way to check if the CrossFit workout routine will work for you, is to give it a try. There's a big chance that you will get addicted to it as many others before.